TRUPP currently operates three transition houses and an employment support program. Since it started seven months ago, the organization has helped four former inmates successfully obtain jobs. Most parolees have only three months to find a job; failure to find one can qualify as a parole violation. Word about TRUPP has spread among Dugar’s former prison mates. “I have guys who knew me in prison that are calling for a place to stay, because they’ve heard of TRUPP inside the prison walls,” says Dugar. 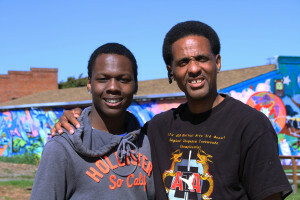 For Dugar and Jones, working with formerly incarcerated people is a way of being involved in their whole community. Organizations like TRUPP and SSC are important in the project of building sustainable communities that can thrive.